Time's nearly up for 2008, so what's coming exclusive to PC gamers in 2009? Sequels, prequels, and plenty of stuff you've been hearing about for ages (The Sims 3, StarCraft 2, and Diablo 3, oh my!). So how about a few you maybe haven't? Anno 1404. I'm a sucker for the Anno games. Have been since 1602 A.D. (the game, that is). They're slow-bake real-time strategy puzzlers colorful as a bag of Skittles with piles of rustic medieval (i.e. lovingly romanticized) European charm. Think hornpipes and dulcimers, ringing smithy hammers and waves smacking against trade wharfs as you pore over interdependent trade chains and poke around conifer-carpeted landscapes for ore, salt, and metal mines. 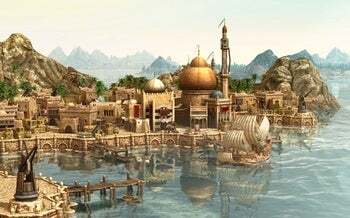 Anno 1404 shuffles things over to the Orient circa the early fifteenth-century, promising all the coffee, mosaics, and carpets you can cram into your Hanseatic or Chinese river ships, along with bigger islands (ergo bigger cities), a sandbox goof-off mode, and "dozens of embellishing objects" plus "new customizable elements" to "express [your] vision and...shape the character of [your] cities." ETA: March 2009. Drakensang: The Dark Eye. It's the sequel you haven't been waiting for to a beloved RPG series you probably don't remember, but you'll want to keep an eye on this one anyway, even you DragonAgeDiablo3StarTrekOnline nuts. Drakensang's already got the visual chops, but it's little wrinkles like experience points you can spend on the fly and tinker-friendly tactical combat that may clear away the same-ol-same-ol combat cobwebs. I've been playing the final version for the last few week (watch for my review in February) and I'm having a blast. ETA: February 2009. 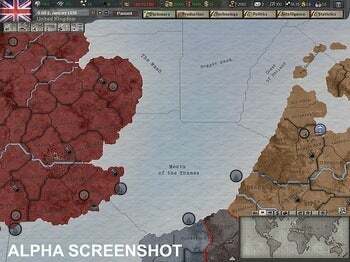 Hearts of Iron III. God help us, the world's only macro-socio-military-economic-real-time World War 2 simulator is about to get even more complex. Iteration number three promises to bump the last game's total provinces (around 2,600) up to around 14,500 and drill down on battlefields to "make it easier for the player to manage the battle rather than just march big stacks at each other." Sounds like grog-heaven for WW2 buffs (that would include me). The upside of Paradox's design MO is that the developer listens intently to savvy player feedback and runs a lively post-release patch-factory with hundreds of "fix-ups" issued almost monthly. The downside's that digesting the game's already encyclopedic mechanics can feel a bit like sussing the edges of a maze that's perpetually in flux. ETA: Q3 2009. 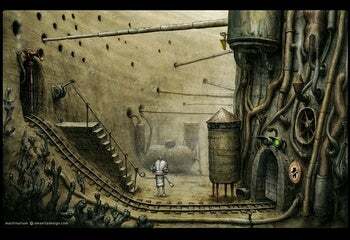 Machinarium. I've got a thing for oddball point-and-click adventure games from indie code-fiddlers, and Machinarium qualifies as first rate peculiar. It's from the guy responsible for Samorost, a "surrealist organic" adventure/puzzle game that won a bunch of awards in 2007 (it more than earned every one). According to Czech developer Jakub Dvorsky, his followup, Machinarium, is "a strange rusty metallic place populated by robots." You play one of the latter, a diminutive metal dude unfairly chucked for scrap, but resilient enough to pick yourself up, sneak back into town, chase down the bad guys, and eventually save the robot-girl. While everyone else is after Jane Jensen's "gothic romantic" Gray Matter, you'll probably find me playing this instead. ETA: Early 2009. Storm of War: Battle of Britain. The upside to working in a once-towering genre (lookup "flight simulation" circa the early 1990s) is that you can set your schedule without apologies. 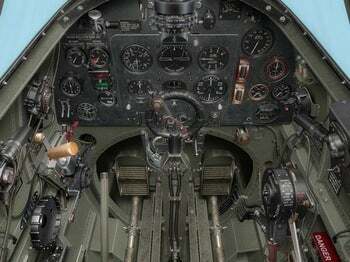 IL-2 Sturmovik fans may be miffed this uber-WW2 flight sim's taken a couple extra years, but all signs indicate 2009's when Oleg Maddox's attempt to replicate the Battle of Britain finally gets it marching papers. If the game's anything like 1C's IL-2 series, it'll probably rival DCS's stunning Black Shark for ridiculously realistic mechanical fidelity. Between this, the latter helo sim, and DCS's A10-Warthog expansion, 2009 may well be the sweetest yet for aviation/avionics wonks. ETA: When Oleg Maddox makes it so, 2009.